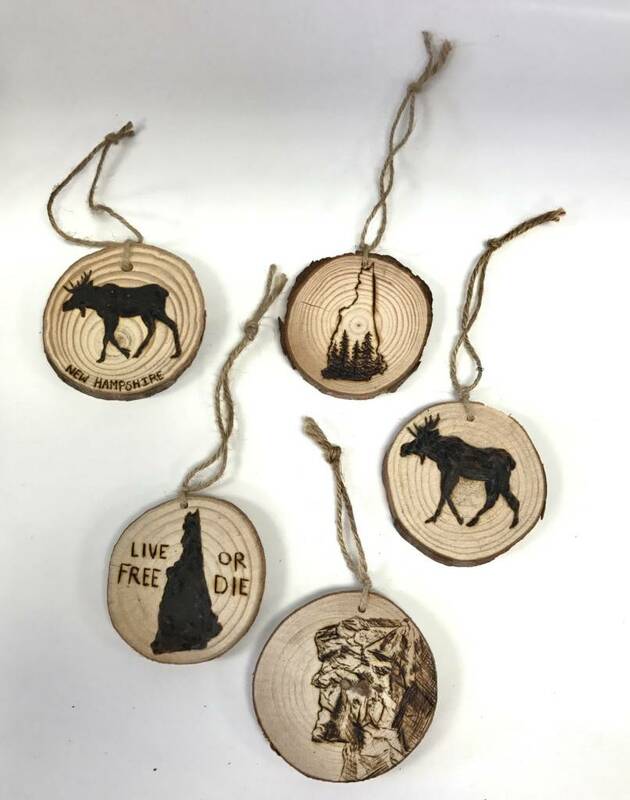 Woodburned disc ornaments with New Hampshire images. Created in New Hampshire. "My name is Samantha Wood, I am a junior in college studying Human Services. While I'm not in school or studying, I'm busy burning custom pieces. 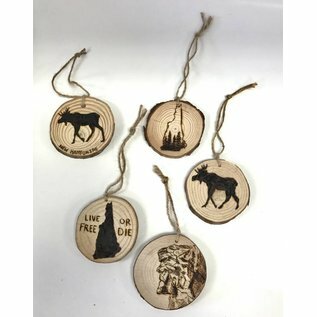 I started woodburning about a year ago as a hobby, but it has now transformed into my full time job!"